Star photography is fun and not particularly hard. Here are a few recent pictures from around California. Taking night photos is easier than it looks. You just find a dark place, point your camera in the right direction, and look up recommended settings on Google or in this very straightforward guide. This is one of the rare cases where shooting in raw will be helpful. Once your picture is taken try these helpful Lightroom presets from David Kingham. #GearI’ve had friends get reasonable pictures of the stars with cameras made in the last two or three years 1. Older cameras do not fare as well. Until this year my best camera was a used Nikon D40 – built in 2006 – and pictures like this would have been impossible. The pictures below were taken on a Canon 6D with either a 28mm f/1.8 or a rented Sigma 15mm f/2.8. A wider lens helps because the maximum exposure without star trails is going to be about 500 divided by your focal length. With a 28mm lens you can take 17-20 second exposures, and with a 15mm lens you can comfortably take 33-40 second exposures without star trails. My tripod is the Benro Travel Angel which is a little too short when the camera is pointed straight up. If you’re buying a tripod specifically for night photos I would get one that is taller than you are. #How dark is the night sky?A reasonable exposure taken during daylight exposes for 1⁄200 of a second at ISO 100 and f/8. Comparing a day exposure to a night exposure at f/2 (4x more light), ISO 6400 (64x more light) and a 30 second exposure (6,000x more light) you can figure out that daylight is 1.5 million 2 times as bright as a dark sky. #The Milky Way #1This was an accident. 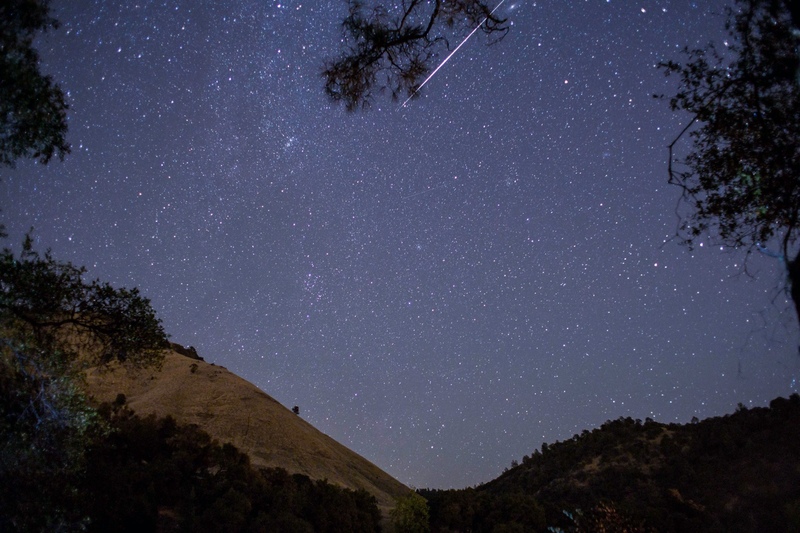 We traveled over an hour outside San Francisco to take pictures of the Perseids Meteor Shower. A park ranger kicked us out of public land at 10pm so we had to take pictures from the side of the road. I was so annoyed with all the cars driving by, but capturing the milky way, cars, grass and trees in one picture is phenomenal. Picture taken in DeValle Regional Park in Livermore California. This was shot with a rented Sigma 15mm f/2.8. 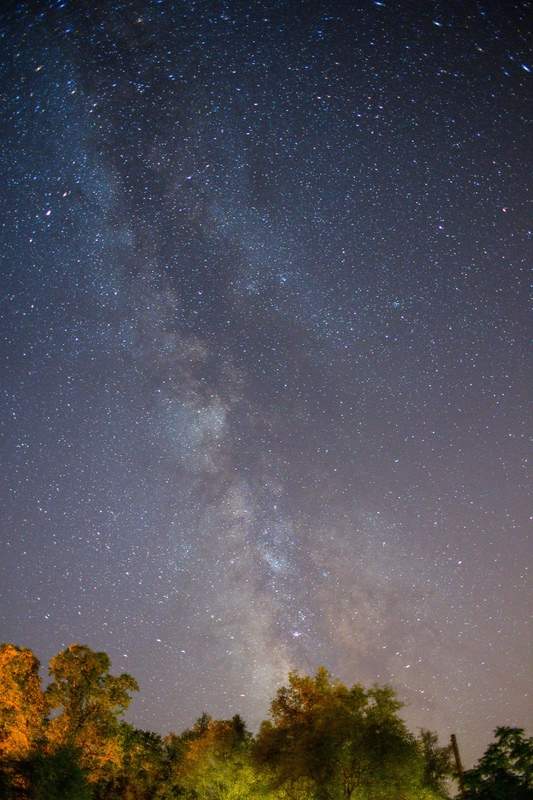 #The Milky Way #2This was taken during a camping trip on the American River from small field near the campsite. 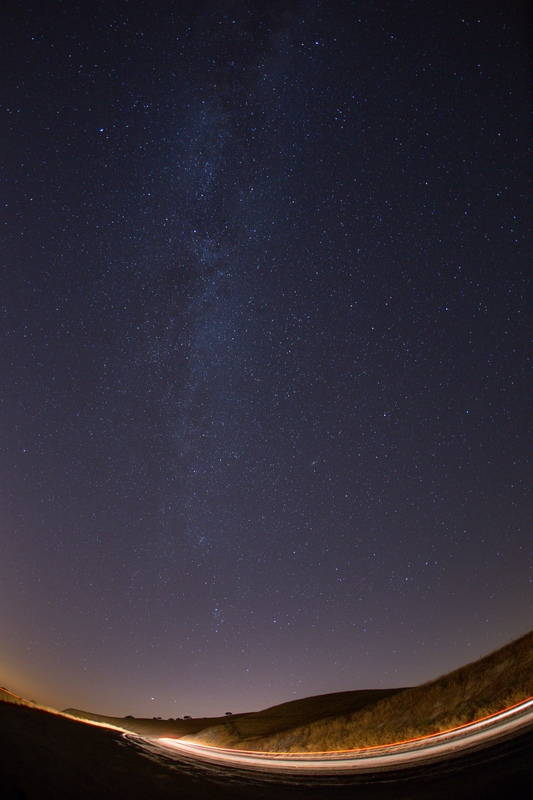 It seems like one side of the milky way is brighter and easier to photograph than the other side. If your shots aren’t coming out well consider pointing the camera in another direction: your eyes are not as sensitive to light as a good camera and can decieve you about different stars being equally bright. You can see the remarkable power of the Canon 6D to expose trees and stars at the same time. #Shooting star through the treesAlso taken on the camping trip on the American River. I was about to go to sleep around two in the morning when I saw that the stars were nicely framed by the trees and surrounding hills. I am really glad I didn’t go to sleep because the camera captured a shooting star. 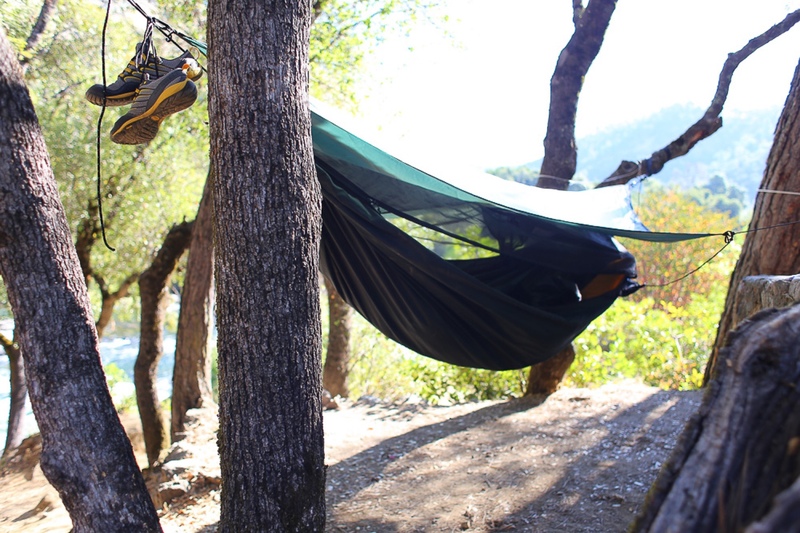 That last picture was taken next to my fantastic Hennessey Hammock tent, recommended to me by Sam Lessin. It is by far the most comfortable way I have ever slept outdoors. If you setup the hammock on a warm night with the tarp a foot or two over the mosquito net, a gentle breeze can blow through and keep you cool all night. This campsite very close to the river and the powerful wind used the tarp as a sail to rock the hammock back and forth. More: If this article piqued your interest and you want to get into photography check out my other articles on photography or my recommended cameras.